here you will see some tools. 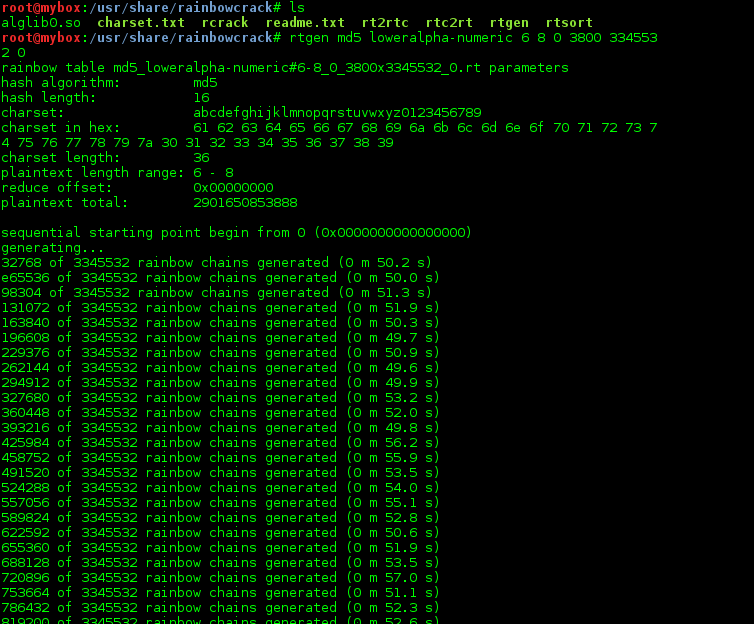 Use rtgen to create rainbow table. For this example, [hash] is the cryptographic hash you wish to reverse. [num threads] is how many threads you wish to dedicate to the task. You should usually use an amount equal to the amount of processor cores available on your computer. 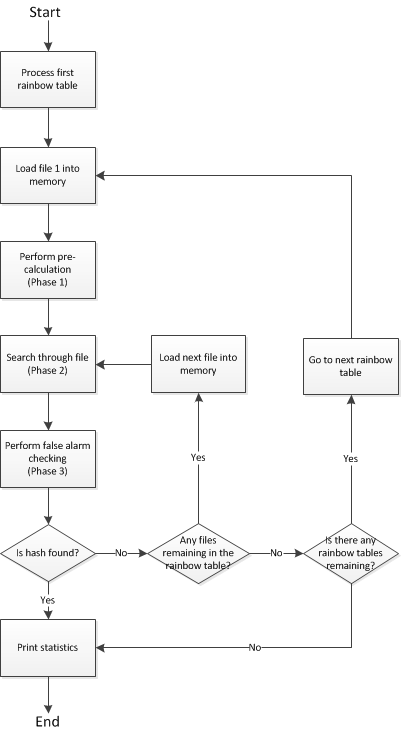 The last parameter is the directory where the rainbow tables are located. 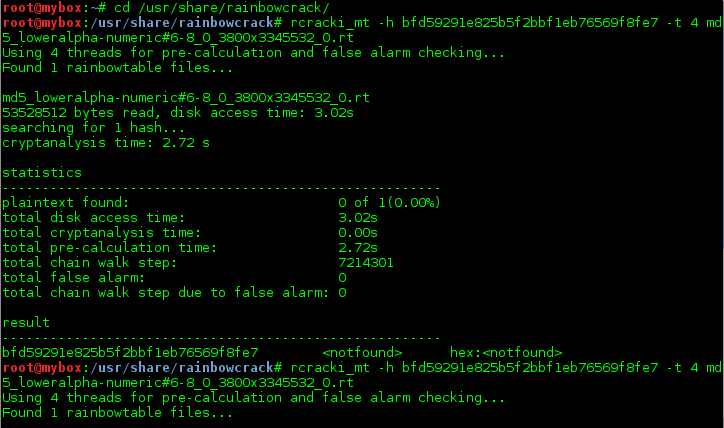 The RCRACKI_MT process can be divided into 3 distinct phases.